Iran May Have Had a Nuclear Weapons Program. That Doesn't Mean We Can't Make a Deal. Nuclear negotiations with Iran are coming down to the wire. The deadline set for completion of a deal is July 20 -- Sunday -- and significant disagreements remain. The talks are likely to be extended for a few more months. But if an agreement is reached, the fight isn't over. Elements of the deal would surely face challenges in Congress, where opponents of a deal have already pushed measures that would prevent America from complying with its end of the bargain. A deal signed in Vienna could well fall apart in Washington. One of the key issues that Congressional critics of a deal will zero in on is evidence that Iran, prior to 2003, had a nuclear-weapons program. The way they will frame this issue was foreshadowed in a recent report coauthored by a former staffer to Senator Mark Kirk -- a major Iran skeptic -- and influential neoconservative expert Mark Dubowitz. The report warned that "Iran's record of nuclear deception does not inspire confidence in Tehran's commitment to honor any final nuclear agreement." In other words, if Iran was indeed secretly developing nuclear weapons a decade ago, then the Iranians are not to be trusted, and this mistrust casts a shadow over the entire deal. Are these critics right? Yes and no. They're right that we should continue to seek the truth about Iran's past work on a nuclear weapon. They're even right, as I'll explain, that the existing evidence of this past work -- which is considerable -- should shape the way we think about and calibrate a nuclear deal. But they're wrong to suggest that the issue here is whether we can trust the Iranians. Ronald Reagan, in the context of an arms accord with the Soviet Union, famously advised us to "trust, but verify" -- by which he actually meant: verify, don't trust; a good deal should have such robust means of verification that trust isn't really essential. Reagan was right. Certainly a trust-based deal between two countries that have been enemies for decades -- whether the U.S. and the USSR or the U.S. and Iran -- would be a risky proposition. Fortunately, Reagan's philosophy is built into the basic contours of the deal being discussed by negotiators from Iran and the "P5+1" (the permanent members of the UN Security Council, including the U.S., plus Germany). Iranian negotiators have reportedly agreed that any deal would include very close monitoring of Iran's processing of the nuclear materials necessary to make a bomb, thus providing assurance that the material was being used for a peaceful nuclear energy program or for non-military research. That doesn't mean any past Iranian efforts to develop weapons are irrelevant. One of the main worries surrounding a deal is that Iran will at some point expel international inspectors and make a dash to get the bomb. That dash -- a nuclear "breakout" -- would have several steps: enriching uranium to weapons grade, putting this weapons-grade uranium inside a useable bomb, and linking that bomb to a delivery system. (In Iran's case, the delivery system would presumably be a missile). The first step is easiest to predict; if Iran expelled inspectors today and embarked on a headlong dash to create enough weapons-grade material for a bomb, that would take at least several months -- and terms of a final deal may extend that to as much as a year, depending on, for example, how many centrifuges Iran is allowed to have. But what about the other two steps? How long would it take Iran to turn highly enriched uranium into a bomb and to mount that bomb on a missile? The more clearly we can answer that question, the more we will know about how long the international community would have to resolve a breakout crisis. If Iran has done a lot of research on making and delivering a weapon, we'd have less time in the event of a breakout. If Iran has done only basic research, we'd have more time. And more time is good, all other things being equal, as it gives diplomacy more time to work -- and reduces the chances that diplomacy would fail and that America or Israel would resort to war. Iran has admitted to the International Atomic Energy Agency (IAEA) that it was given -- unsolicited, it says -- a few basic documents about how to form uranium into the proper shape for a warhead. It also admitted that it "had had contacts with intermediaries of a clandestine nuclear supply network," and that "entities with links to the [Iranian] Ministry of Defence" had been involved at times in building its clandestine nuclear-enrichment program. What's more, the IAEA says it was given documentation of three other activities, all from 2003 and earlier, that are very fishy. The first was a plan for a small uranium conversion facility -- a facility for turning the raw uranium oxides taken from the earth into chemical compounds that are easier to enrich. Iran already has a uranium conversion facility; that it would seek another, especially a small one, is suspicious. Was Iran trying to set up a secret source of uranium, one that international inspectors couldn't monitor? The second was a set of modified designs for Iran's Shahab-3 ballistic missile, which at the time was Iran's longest-range missile. The modifications were to the missile's reentry vehicle -- specifically, to the chamber where the warhead goes. This appeared to be an attempt to make the chamber larger so it could hold a nuclear weapon. The third was a set of experiments with exploding bridgewire detonators -- EBWs -- which are used to set off explosive charges with extremely precise timing. There are civilian uses for these, but they are also used to set off a spherical array of explosives around a warhead's core, rapidly compressing it to achieve supercritical density and initiate a nuclear explosion. And Iran's experiments with them were troubling. In 2003, says the IAEA, Iran conducted "at least one large-scale experiment... to initiate a high explosive charge in the form of a hemispherical shell." That shell was hooked up to a special camera that could make sure the charges fired in close unison. And the size of the explosive array used in the test was "consistent with" the size of the payload that the ballistic-missile modifications aimed to accommodate. These tests were conducted in a facility at the Iranian military complex at Parchin, a facility to which the IAEA has demanded access. That Iran has denied such access -- and that satellite photos show Iran apparently trying to clean it up -- is grounds for serious suspicion. These activities appear to have ground to a halt in 2003, apparently because Iran saw what was done to Iraq for its (essentially nonexistent) weapons of mass destruction program. The United States released a National Intelligence Estimate in 2007 saying that it had "moderate confidence that Iran had not restarted its nuclear weapons program," though this claim has been hotly disputed. Needless to say, this evidence of nuclear-weapons research is alarming. So it's certainly reasonable for critics of a deal to highlight it. But they'd be wise to circle back to the reasons that we sanction -- and that we negotiate. We are not trying to dispense justice for Iran's past violations of international law, serious as they may be. And we are not trying to design the perfect verification program -- something that's never possible in the real world. We are trying to prevent Iran from developing a nuclear weapon, and to increase the timeline and visibility of any Iranian rush to a nuclear weapon. First, without highly enriched nuclear material, you can't make a bomb. Monitoring Iran's processing of uranium -- verifying that it makes only low-enriched uranium, that its processing infrastructure is limited, and that the uranium it enriches isn't diverted -- will be a central element of the deal. And the "breakout time" implied by this infrastructure -- that is, the amount of time it would take Iran to produce enough weapons-grade uranium for a bomb, should it suddenly expel inspectors -- won't be affected by how much Iran learned about weaponization during any earlier phase of experimentation. 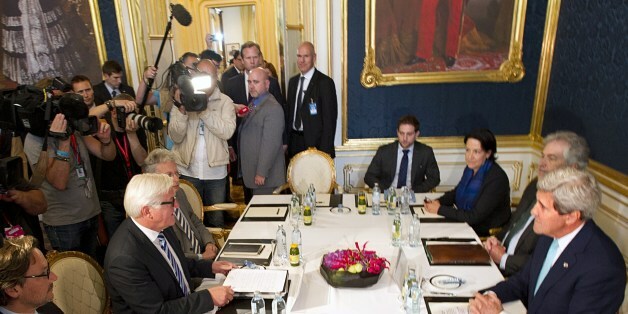 Second, the deal taking shape in Vienna would apparently give inspectors the authority to go well beyond Iran's declared uranium enrichment facilities. Reportedly, Iranian negotiators have indicated that Iran would abide by the "Additional Protocol" of the Nuclear Non-Proliferation Treaty, which gives inspectors the right to demand access to any facility deemed suspicious. This would guard not just against covert uranium enrichment facilities, but also against the covert development of weaponization technologies such as those Iran seems to have experimented with prior to 2003. So a recent New York Times article on Iran's pre-2003 weaponization research, written by David Sanger, was misleading when it claimed that "verification of the accord" would be "reliant on the American intelligence community's ability to track covert nuclear activity, a record that is littered with failures." The accord provides monitoring that goes well beyond tools traditionally at the disposal of the intelligence community. All that said, it would still be nice to know how long those final phases of a hypothetical Iranian "breakout" would take. The evidence we have suggests that Iran would encounter some bumps in the road. For example, American experts assessed that those modifications to the Shahab-3 ballistic missiles wouldn't have worked -- one even told the Washington Post that "this clearly wasn't done by the A-team of Iran's program." Still, there are a lot of unknowns, and when nuclear-weapons research is involved, unknowns are risky. In the face of incomplete knowledge, U.S. negotiators can hedge their bets by calibrating their position on the uranium enrichment infrastructure Iran would be left with under a deal. If they think Iran's nuclear-weapons research was at an advanced stage, they should insist on a lower numbers of centrifuges and smaller uranium stockpiles -- in effect, increasing the "breakout time" in the early phases of a breakout to guard against the possibility that the later weaponization phases would proceed rapidly. If, on the other hand, we learn that the research was more primitive (and if inspectors are given enough access to verify as much), we can tolerate a few more centrifuges. If Iran is not forthcoming, we should treat that as a possible sign that the research was advanced, and thus we should aim for a smaller number of centrifuges. This holistic approach would allow us to protect our interests and secure ourselves against the possibility of an Iranian bomb, rather than scuttling the deal over decade-old concerns. We must resist the temptation to conflate technical and legalistic questions with the political and strategic questions that are the true stakes in this decade-long crisis. Succumbing to a very similar temptation about Iraq's WMD programs helped draw us into war there. The consequences of that error, as we've been reminded in recent weeks, were far more destabilizing than Saddam Hussein's defiance of a few UN Security Council resolutions. 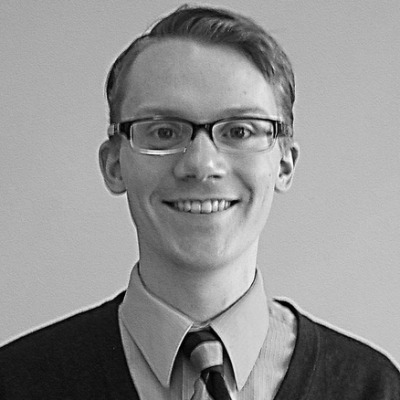 John Allen Gay is an assistant managing editor at The National Interest. He is coauthor of War with Iran: Political, Military, and Economic Consequences (Rowman and Littlefield, 2013). He tweets at @JohnAllenGay. This article is published in collaboration with the American Foreign Policy Project.